Above all, music touches that which runs deeper than whatever divides us. It is our positive hope for the future. 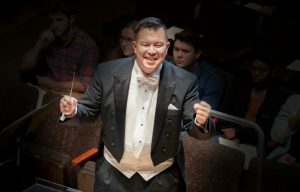 There is a saying that the only good composers are dead composers, but the composers sourced for this concert are very much alive: young, vibrant, and engaged in the social fabric of our times. Their music reflects the bravery and strength of women, African-Americans, and the LGBTQ community – with some composers representing more than one of those groups. The concert will be preceded by a lecture with Visiting Assistant Professor Jon Noworyta about the music, why it was chosen and the impact these pieces have on society today. 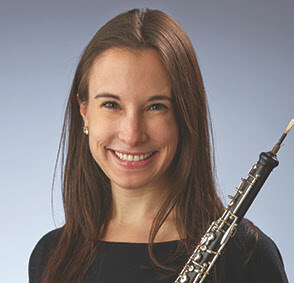 Jennifer Christen is the principal oboist of the Indianapolis Symphony Orchestra and adjunct oboe instructor at the University of Indianapolis. She studied at the Juilliard School and has performed with the Pittsburgh, Detroit, Baltimore, Atlanta and Milwaukee Symphony Orchestras. Contact Jon Noworyta at 317-788-6139 or noworytaj@uindy.edu with questions.